Seriously, there are always SO MANY THINGS happening at the Morris on any given day, it’s hard to keep up with everything! What I know is that we are trying, ever-so-hard to keep up! We got A LOT of love last week and we are feeling it! 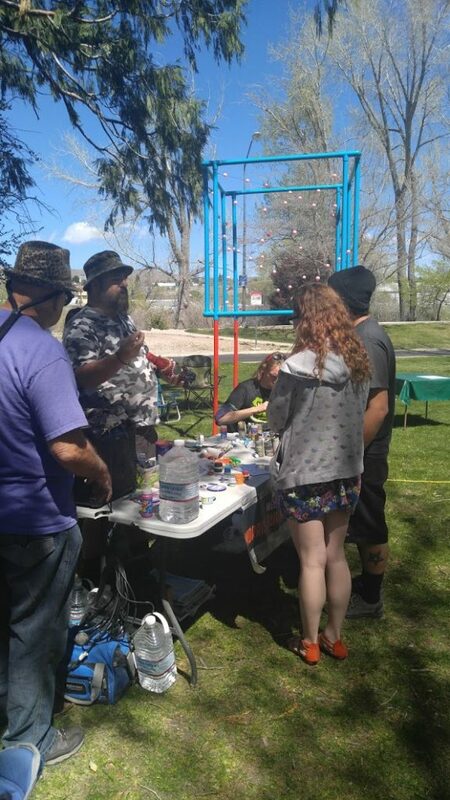 We were featured in stories both in RGJ, and on ThisisReno. This led to us having TWO mentions in “Burning Man in the World” which goes out to BM Staff, volunteers and workers. Sunday, we participated in Earth Day. It was SO COOL! We tried to think of something that would be meaningful to give away, and came up with creating small biodegradable flower pots from recycled newspaper, and then adding some worms from the compost in our community garden. We were telling people “We composted all winter so you don’t have to!” =) We also gave folks some marigold seeds, those awesome flowers are supposed to keep the mosquitoes away! We were situated in the artists corner and were right by “Parts per Million“, done by Gemini’s friend Peter Millar. Peter is brilliant, and climate change is a real thing that he’s found an awesome way to tangibly see and contemplate. I’m sure there will be more about this later…. On April 15th, for the third year, we hosted Controlled Burn, as they did their annual fire safety certification class. This is something we love doing. 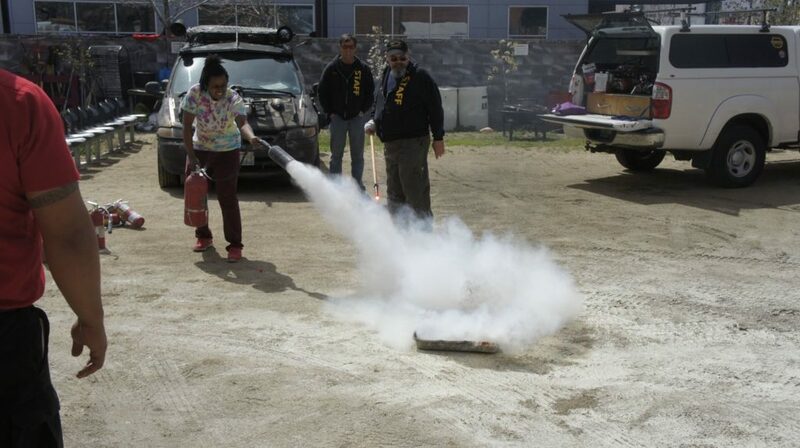 It’s great for the community, it allows us to also get some valuable fire extinguisher training, and allows us to see our friends at Controlled Burn more than just at event time. ABC Fire certified over 20 people in extinguisher and fire performer safety! The week of 4-14, part of our team went down to talk to the City Council, and we managed to get some positive results. We are hoping this will lead to another meeting where we can request an extension in order to be able to run our bar business to be able to pay for the upgrades that are needed. ← We NEED Your Help, Burner Community!